Nov. 6 a good day for the good guys – but not in N.C. If you take the national view, Election Day was a good day for labor-endorsed candidates. Best of all, President Obama overwhelmingly won re-election with 332 electoral votes to Mitt Romney’s 206. He also won the popular vote, and he did it with more than 50%, twice – the only president since F.D.R. to do so. Barack Obama’s victory ensures that Wall Street reform and health care reform are secured, and crucial federal government departments such as Labor, MSHA, OSHA, NLRB, EPA, and the new Consumer Financial Protection Bureau are safe from Republican takeover for another four years. Perhaps most importantly, expected retirements on the Supreme Court will not be replaced by Republican appointees. And instead of losing seats in the U.S. Senate as expected, Democrats retained control. 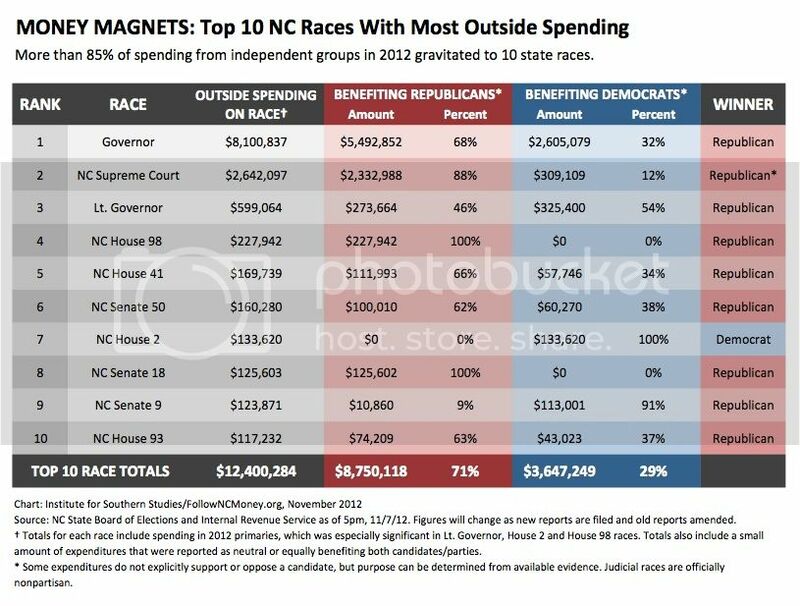 However, the picture in North Carolina is not so rosy. Walter Dalton lost his bid for governor by 11 points. For the first time since after the Civil War, North Carolina will have a Republican governor and Republican state legislature. Even had Dalton won, he would have had to contend with new veto-proof Republican majorities in the State House and State Senate. Notable losses in the state legislature include Doug Berger, Ray Rapp, John Snow, and Martha Alexander. Linda Coleman, our endorsed candidate for Lt. Governor, absent an extraordinary turn of events when all absentee and provisional ballots are counted, has lost to Republican Dan Forest by 11 thousand votes. Cressie Thigpen lost his bid to stay on the state Court of Appeals, though his colleagues Wanda Bryant and Linda McGee held on. Interestingly, of the three appeals judges, Thigpen was the only candidate whose name appeared second on the ballot. John Brooks failed to oust the decidedly undeserving Cherie Berry as Labor Commissioner 46.7 to 53.3 percent. Except for John Brooks, Coleman, and Dalton, our other endorsed Council of State candidates won – including Treasurer Janet Cowell, Secretary of State Elaine Marshall, Auditor Beth Wood, State Superintendent June Atkinson, Insurance Commissioner Wayne Goodwin, and Attorney General Roy Cooper (who ran unopposed). With these few exceptions on the Council of State, Republicans have solidified control of state government – executive, legislative, and judicial – and captured at least 9 of 13 Congressional seats. As for Congress, so far, only three Democrats have definitely survived to return to U.S. House – Butterfield, Price, and Watt. The race to decide the winner in the 7th District is headed for a recount. Mike McIntyre leads his Republican challenger there by less than 400 votes. North Carolina’s other nine U.S. Representatives will be Republicans. Unfortunately this year, President Obama did not carry North Carolina as he did in 2008. Mitt Romney won here by about 97 thousand votes. However, Romney’s 2.2 percent margin of victory was narrow enough to make North Carolina the third closest state in the 2012 presidential election. Only Florida and Ohio were closer. North Carolina’s new congressional delegation will have at least 5 more Republicans than Democrats, but that statistic obscures another one – Democrats got more votes. According to the state board of elections, Democratic candidates for Congress received a total of 3% more votes than Republicans candidates. As for the makeup of the next General Assembly, Republicans gained seats despite receiving a declining share of the popular vote. Clearly, Republican gerrymandering during redistricting worked to their maximum advantage, which explains in part why so much outside money poured into the Supreme Court race.